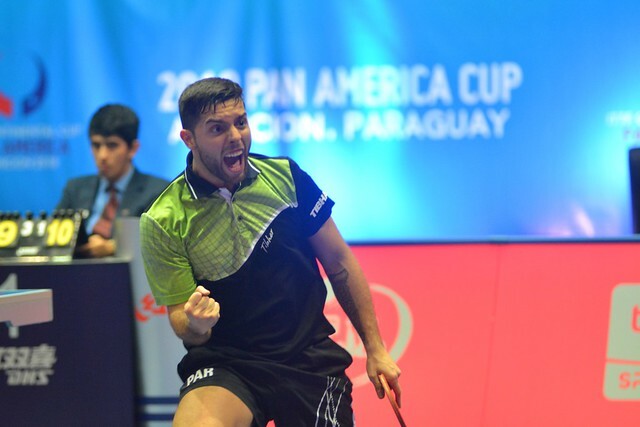 An ever more popular destination for international tournaments, having recently staged an ITTF World Junior Circuit competition followed by a Road to Buenos Aires event, the Paraguayan capital city of Asuncion is the home for the forthcoming 2018 ITTF-Pan American Cup. Commencing on Friday 15th June and concluding on Sunday 17th June, the venue for proceedings is the recently completed National Training Centre. A total of 16 players will compete in each of the Men’s Singles and Women’s Singles events; the top four ranked players will receive direct entry to the quarter-finals, the remaining 12 players will compete in the first phase of proceedings which will be organised on a group basis. The fifth to eighth highest ranked players will be placed in each of the first stage groups, the next four listed will be drawn at random one player in to each group; in a similar manner the remaining players will be drawn. Throughout, in both the first and second stages, separation by association will be respected. Players finishing in first places in each of the four groups will advance to the last eight, where play will be conducted on the knock-out principle. A maximum of two players per national association may compete in each of the Men’s Singles and Women’s Singles events in Asuncion. One representative from the North American Table Tennis Union and one representative from the Latin American Table Tennis Union is eligible to participate in each of the Men’s World Cup and Women’s World Cup tournaments. The winner in each of the Men’s Singles and Women’s Singles events at the Pan American Cup will qualify, the highest placed player from the continental federation that does not secure first place will qualify; should two or more players from the same continent finish in same position; the World Ranking list for June 2018 will determine the name of the qualifier. Acceptance of invitation must be returned before Tuesday 15th May, the final entry by Friday 18th May, with accommodation and travel details submitted by Sunday 3rd June.